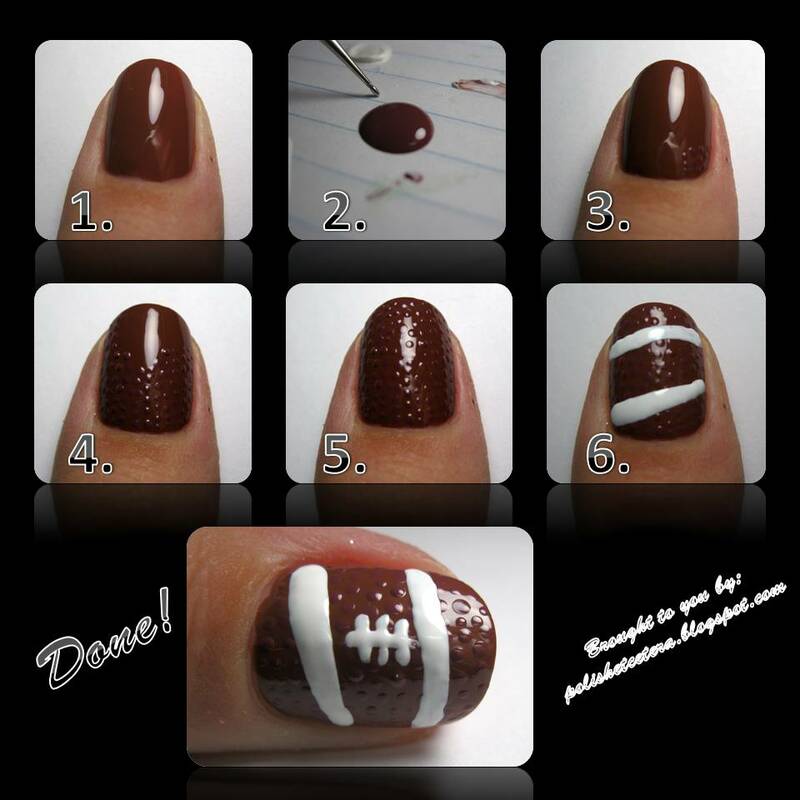 Football Nail Art Tutorial! - Polish Etc. I know today is supposed to be inspired by a tutorial, but instead.. here's a tutorial to inspire you! This is the tutorial for the football accent nail I did in this post. It's a fun way to rock your nails this football season! 1. Start with two coats of a base color, I used Essie Very Structured, a dark redish brown. If you want to use top coat to make this mani last longer you should apply it now before adding the details! 2. Now you will need a second color that is a similar color, but not exactly the same. I used Zoya Coco. If you can't find more than one color that looks football-like you can use the same color as your base color (it just doesn't look quite as football accurate). Make a small blob of the polish on a piece of paper. 3. Using your smallest dotting tool (or the point of a toothpick) start covering your nail with tiny dots. You will need to re-dip the dotting tool/toothpick about every 2-3 dots. You want to make scattered dots that don't touch each other. This is creating the pebbled surface of the football. 4. Keep dotting! This part of the process can become a bit tedious. 5. Continue adding dots until your entire nail is covered. Now blob some white nail polish onto your paper. 6. Using a tiny brush (or your dotting tool or a toothpick) add two wide white stripes. You want the stripes near the cuticle and the tip of the nail but leaving some exposed brown on either side. 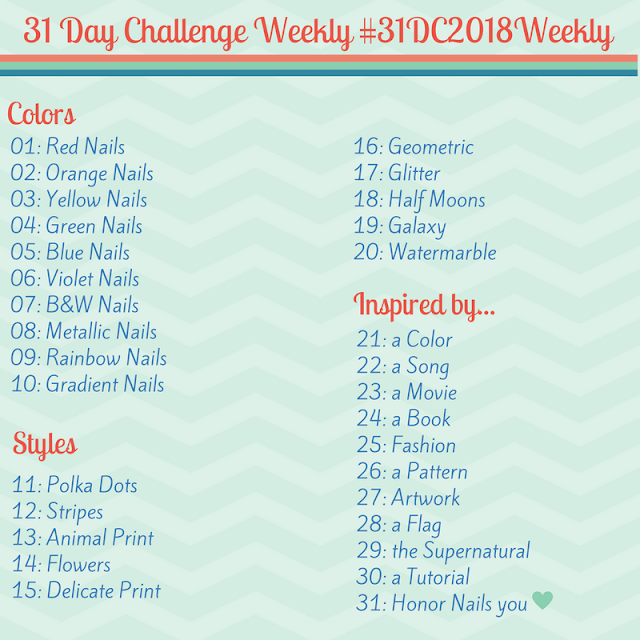 Be careful to keep your lines parallel to each other (mine are intentionally diagonal on this nail since it is my thumbnail and that was the effect I was going for). 7. Lastly add a thin white stripe down the center of the nail and some thin stripes accross this line. You're done and ready for the big game! If you try this tutorial I'd love to see it! Please post a photo of it to my Facebook page! Love this looks real life like! Thanks Tishana! It is really fun to have the texture on your nails.